Hi Arlene! Disney's Animal Kingdom Villas - Kidani Village is an amazingly themed resort! The views from Standard View rooms are of the parking area, the road beyond the parking lot, natural areas beyond the road, the pool area, or even the resort's drop off. I would suggest requesting a Pool View room since this is not a separate booking category. 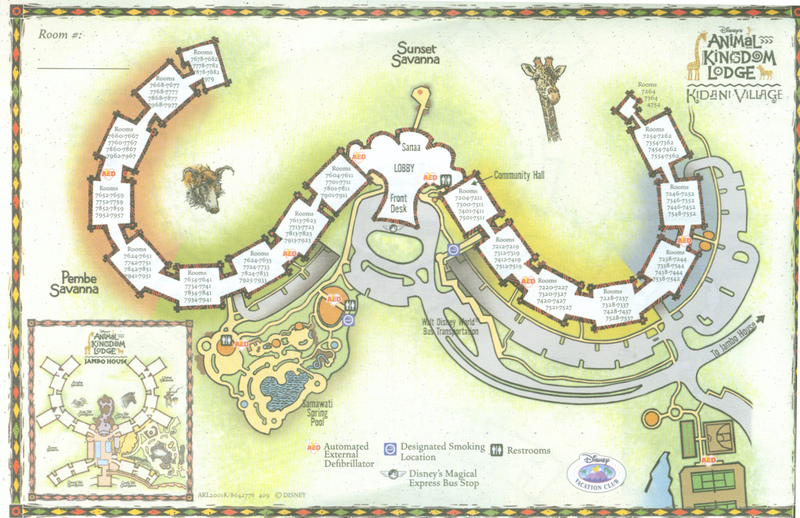 Take a look at Kidani Village's map HERE. You may request odd numbered rooms from the following room blocks: 7725 to 7733 or 7925 to 7933. Please keep in mind room requests are not guaranteed although Cast Members will try to accommodate your preference based on occupancy and other factors taking place when you arrive. You will have plenty of opportunities for animals viewing from the many lookout areas at Kidani Village and Jambo House too, since the two sister resorts are connected by a short walkway bridge. However, if you are looking for the unique experience of waking up and seeing giraffes from your very own balcony, then you'll have to upgrade to a Savanna View room. Please let me know if I can answer any other questions for you. Enjoy a most memorable visit to the Walt Disney World Resort!